The choice of a backsplash is very important. It plays a supporting role in the design style selected. The options and styles are endless and many different materials can be mixed and matched to make a truly one of a kind look. We want to give ideas that will make choosing a selection right for your design style! How you install a backsplash can change the way it is viewed by others. Thin horizontal style tiles, stacked evenly on top of one another will create a contemporary look. A 2”x8” tile stacked horizontally is a wonderful choice for a modern or contemporary residence. Install the same tile in a brick pattern for a more transitional look. For a traditional layout, try a standard size: 3”x6” or 4”x4” tile. Install the 3”x6” tiles in an alternating brick pattern to complete a traditional look. Place the 4”x4” square tiles on a diamond pattern for a slight twist on another traditional look. The material for the backsplash will further compliment the style of your kitchen or bathroom. For traditional kitchens, consider a natural stone. If you want more color, place painted rosette tiles in the middle of a focal point (for example over the range). 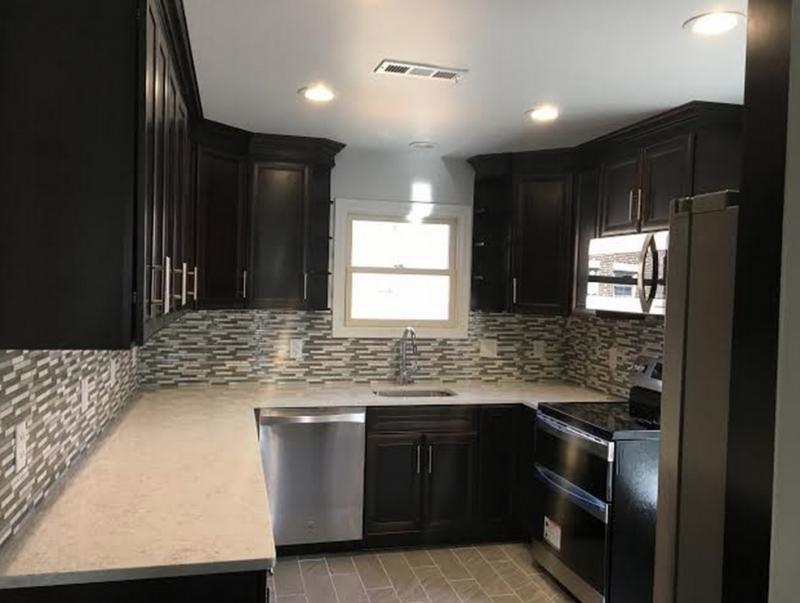 If your kitchen design style is somewhere in the middle of traditional and contemporary, select a backsplash that has a mix of traditional natural stone with glass or metal tile mixed together. Get a sample of your tile and create a small layout that will give you an idea of how the material and will look in your home. Place this layout somewhere you can see it for several days. This will allow you to either decide that you love it, or determine it may not be the right look for your kitchen. You can tweak the tile layout and even play around with different kinds of tiles and sizes.